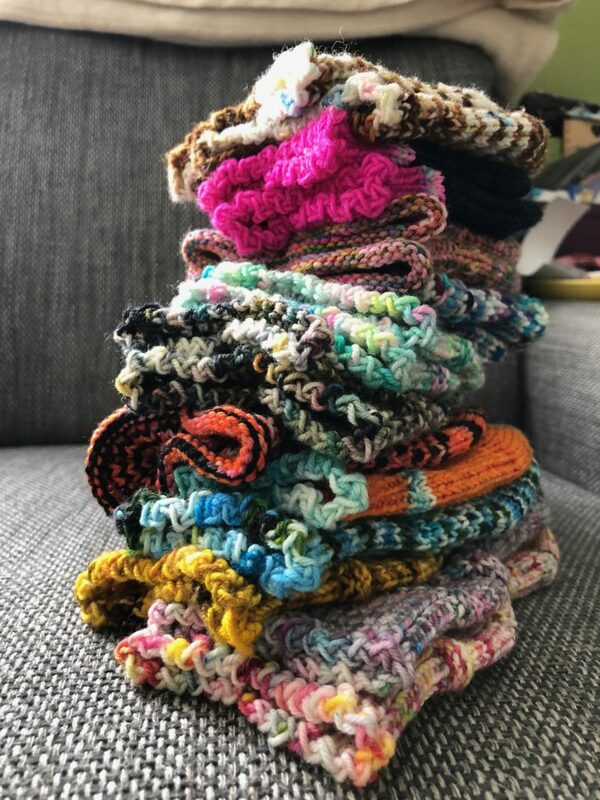 I’ve been immersed in socks this summer; I’ve made a bazillion socks (ok, so not a bazillion, but close: I’ve made twenty-two single ones since Memorial Day), and have taught three different classes at two different shops, with a total of seventeen new sock knitters loosed upon the world. I published four new sock patterns throughout the summer; the Socks for Busy B’s 3 collection, and my latest, Take Note (DK-weight socks). 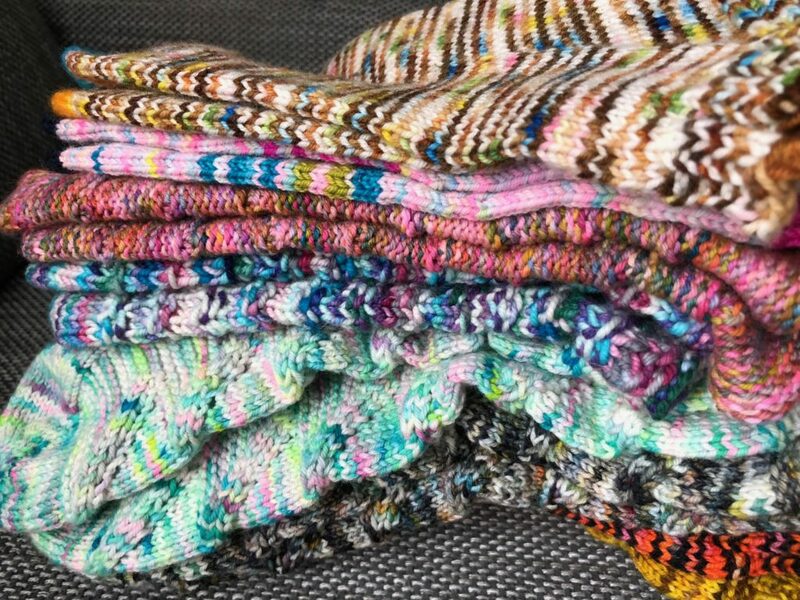 I know I talk about this a LOT, but socks are just about my dream knitting project, and I see no end of my making and making and making socks in sight. Also, only two pairs are actually FOR people that are not me. Is that selfish? If socking for myself is wrong, I don’t wanna be right (sorry Isaac Hayes, for what I did to your rad song… although, I did learn that Isaac Hayes was only one of very many who covered that song, but his version is the one I best know, so it to him that I will apologize). 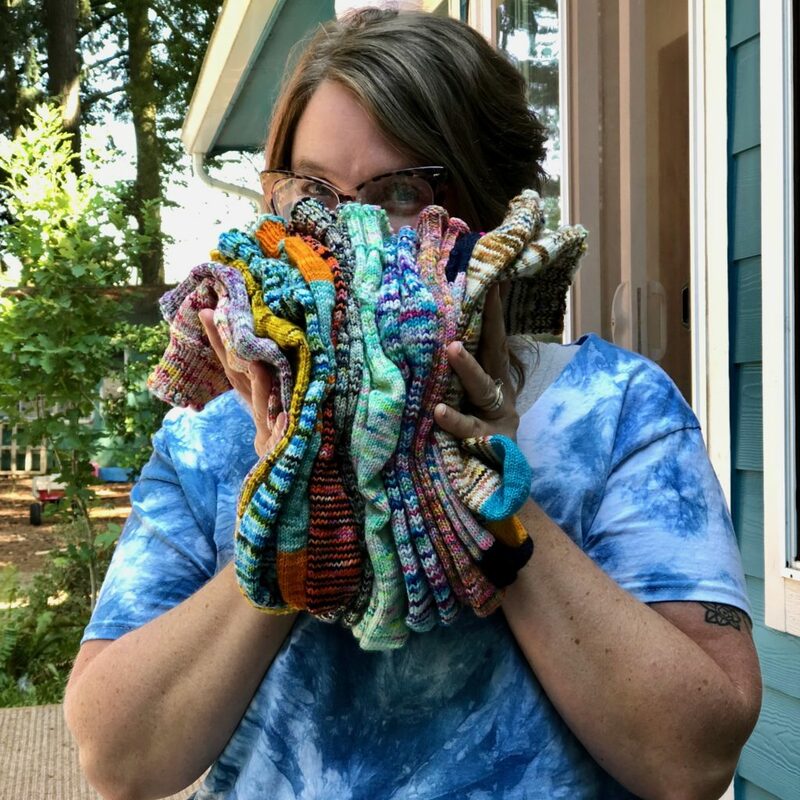 If you’d like to sock it up with me, I’ve got sock classes (and a weekly drop-in help class at Starlight in October) coming up at three different yarn shops in the Portland area in the next two months. The shop name links will take you to their websites, where you can either register for classes, or get their phone numbers to call. Hope to see some of you this Fall! Tuesdays, September 11, 18, & 25. 6-8pm. Toe-up Sundae Socks. Sundays, October 7 & 21 & November 4. 1-3pm. Toe-up Sundae Socks. Tuesdays, October 9, 16, & 23. 6-8pm. Toe-up Winter Weekend Socks.